Many people who enjoy working out are finding that the time they spend at the gym cuts into their home time more than they had realized—not to mention ongoing membership fees and the cost of gas to and fro. Money invested in a home gym will pay for itself before you know it. Having a home gym is not only convenient and cost effective, but if you desire your workout to be more productive with more privacy, a home gym is your answer. When the commercial gyms are at full capacity, it’s common to be waiting for the machinery in your routine, which also adds to your time at the gym. Designing and decorating your home gym to fit your personal needs is exciting—you can make it your own right down to what music is filling the room. Keep in mind making the decision to build a home gym requires several steps planned in advance before this home remodeling project gets underway. The first thing you want to consider is the location of your home gym. Remodeling in Las Vegas rarely incorporates a basement, as very few builders include them in their designs. But if you do have a basement, you will want to make sure your ceiling is adequate height, as well as having proper lighting and plenty of ventilation. Most home improvement projects that focus on a home gym design them with an indoor/outdoor atmosphere. Make sure your home gym offers plenty of natural light with a full wall of windows, sliding or bi-folding glass doors. Skylights are also popular alternatives for letting in natural light. A pleasing view for your home gym is always a nice touch, such as overlooking the patio, pool or landscape. Having your home gym off the master bedroom is another desired location. Some homeowners are building casitas purposely for home gyms. Plenty of ventilation is critical, and aside from installing windows or glass doors to open for a gentle breeze, ceiling fans are always a great choice for circulating the air in the room. There are many flooring choices for a home gym, but most popular is faux wood, which works well with all different machinery. If you’re going to include an area for a swim spa, your Las Vegas Contractor can go over the many choices to fit your design. Appropriate lighting is an important factor when you design your home gym. If there isn’t enough natural lighting, halogen track lighting or pot lights are a good option. Make sure all your desired equipment is in place before you decide where your lighting should be, as well as deciding where the electrical outlet locations will be for equipment and media. You may consider multiple TV/monitors and fans to accommodate for multiple family members or friends working out together. The weather during the summer months in Las Vegas is perfect for swimming both day and night. But during the fall and winter months, Las Vegas can cool down to the freezing point. The cost of heating your outdoor pool can be very expensive. Having an indoor swim spa is a perfect answer for swim lovers who want a good workout year-round without the cost of heating a swimming pool (as well as the maintenance that comes along with it). They say swimming is the best exercise for your entire body, and being able to swim year-round in the luxury of your own home is a fabulous way to stay in shape. 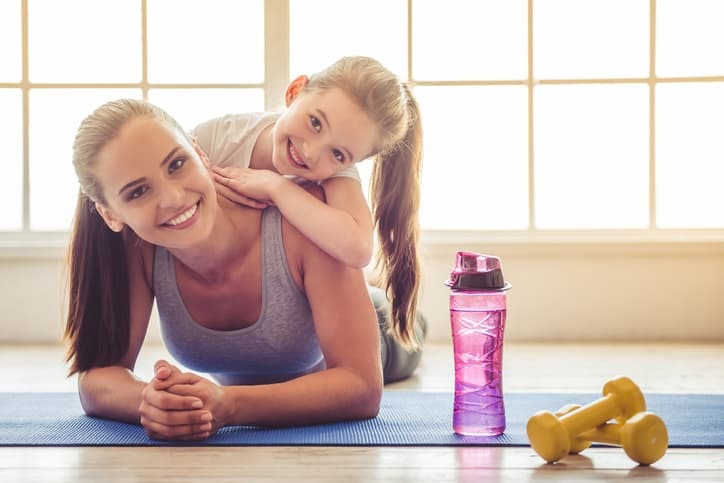 Your Las Vegas Contractor will help you design a home gym that provides a healthy, safe and fulfilling environment for the whole family to enjoy!